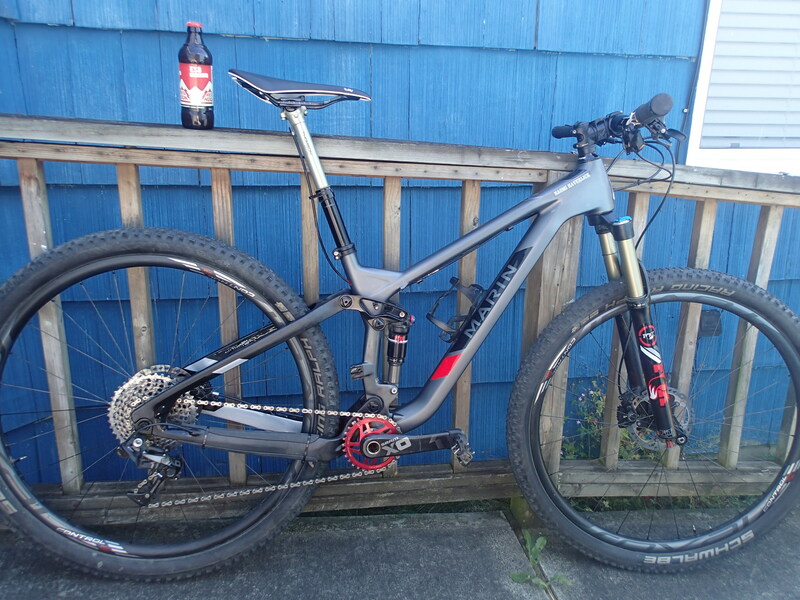 I have 300 miles on my 2015 Marin Rift Zone 9 Carbon bike, and I’ll put a full 100 miles on it during tomorrow’s NW Epic Series 100 mile race in Capitol Forest, WA. 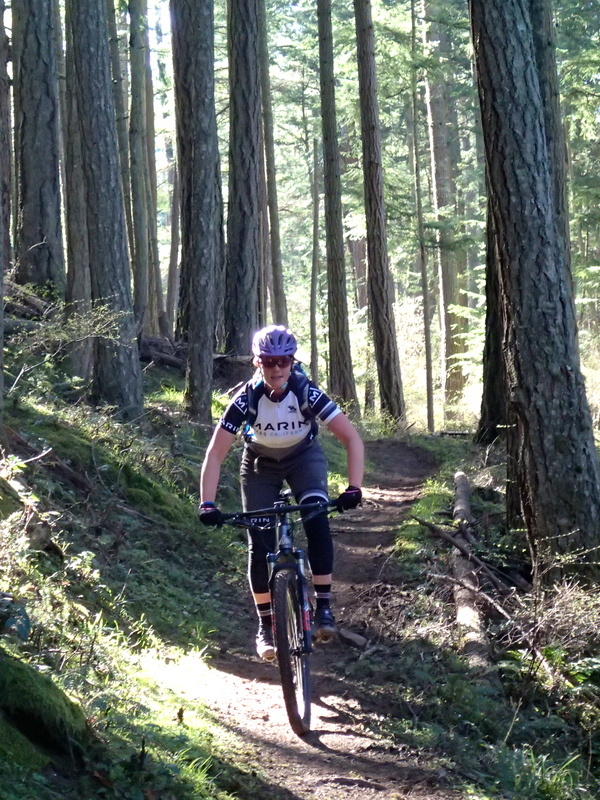 Suffice it to say, the Rift Zone 9 can play the part of a cross-country race bike, even though it is officially dubbed a trail bike on Marin’s website. 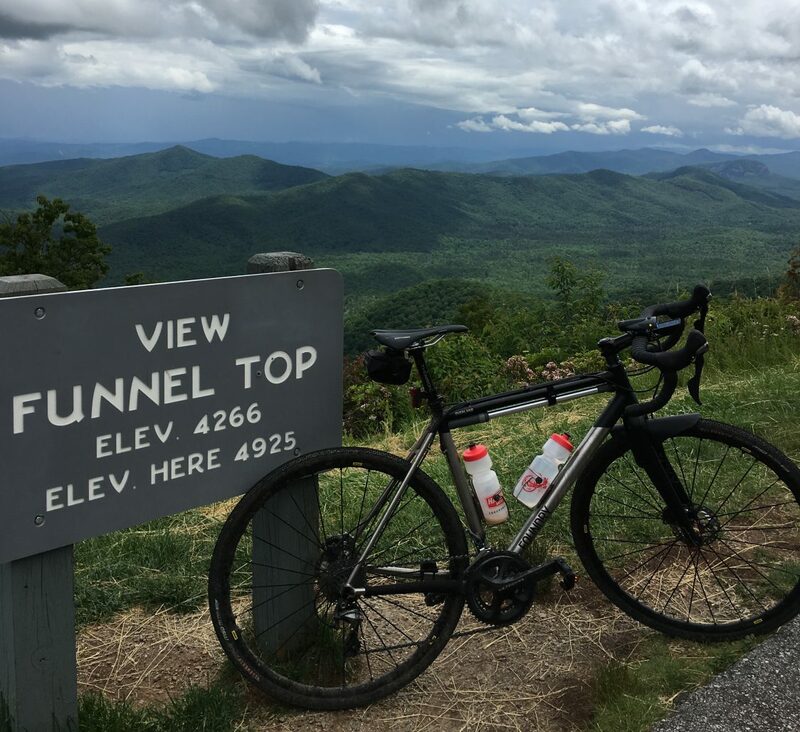 I know longer travel “enduro” bikes are all the glam, but if you seek a versatile steed that you can pedal comfortably up sustained or steep terrain and still rip on the descents, then consider the Rift Zone. 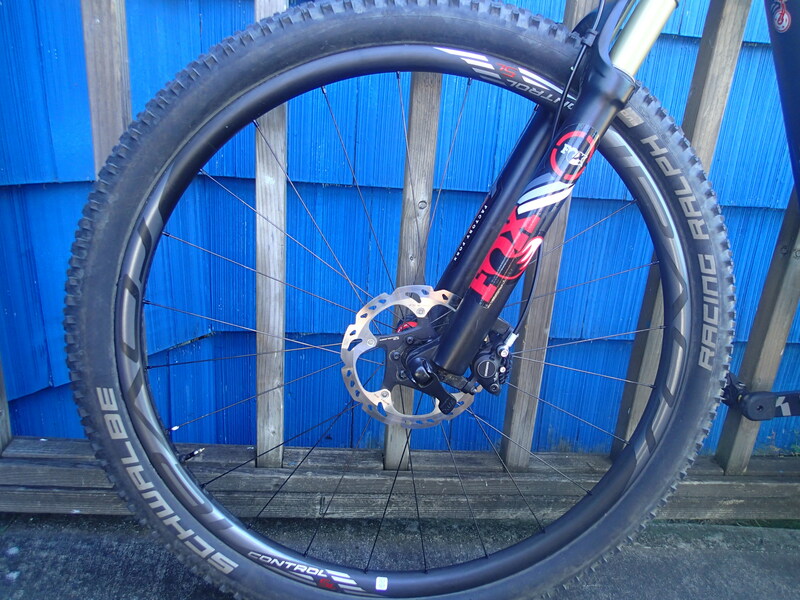 It has 120mm Fox 32 Performance TALAS 29er fork in the front and 110mm Fox Float Performance CTD shock in the rear. It has a 69.65 degree head tube angle, which lands it in between the slack 66.5 of the Attack Trail and the steeper 71.5 degrees of the Team CXR Race Hardtail 29er. In other words, it’s a great all around bike. The stock Easton wheels set up tubeless with Schwalbe Nobby Nic Evolution Snake Skin tires are perfect for day-to-day trail rides. The Nobby Nics are aggressive enough to stand up to variable conditions…and we’ve experienced those extremes this year in the Pacific NW. From early spring mudfests to early summer drought-induced sandy conditions, Schwalbe’s Nobby Nics have handled it all well. For racing, though, I have a set of carbon wheels mounted with Schwalbe’s Racing Ralphs. They are the best PNW cross-country tire out there. Hands. Down. Out of the box, the bike weighed 27lbs and change. With a wheel, tire, cassette, and chainring swap, the bike pictured above weighs 24.8lbs. 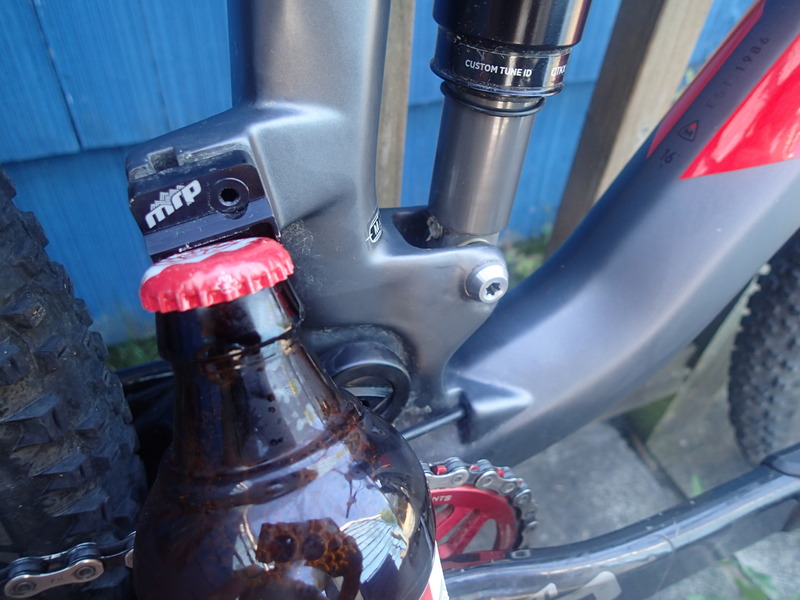 To make it an even more agile descender, I run Thomson’s dropper seat post. 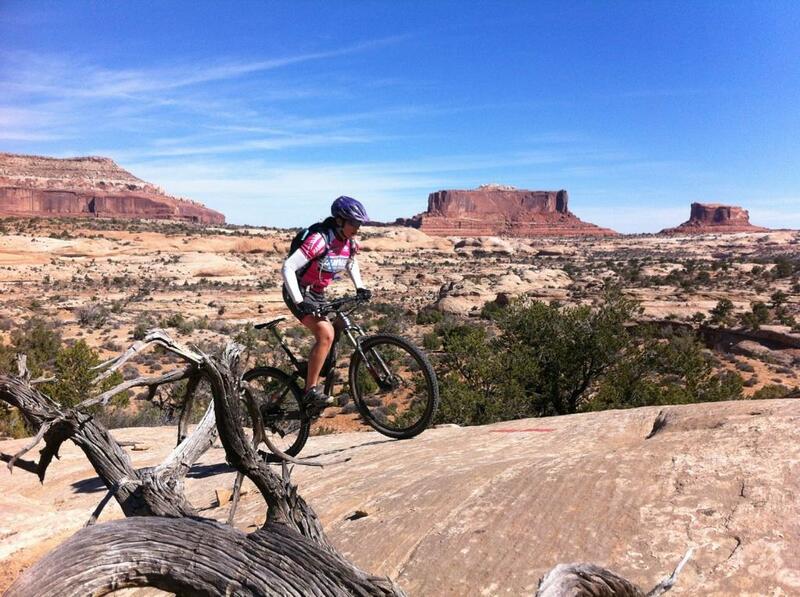 I find the speed and confidence I gain during the downhills is worth the slight increase in weight. With so many miles put on my bikes (I usually average 700 miles on a bike per year), I’ve finally jumped on the Chris King bottom bracket wagon. They are serviceable and include a five year warranty. Plus, changing out the BB gave me the chance to bling my bike out even more! In the process of changing the BB, we discovered that the chain guide mount was removable, saving a few more ounces of weight. Marin has thoughtfully crafted their frames, to allow for easy to run, sleek internal cable routing. Out of the box, this bike is ready to roll. 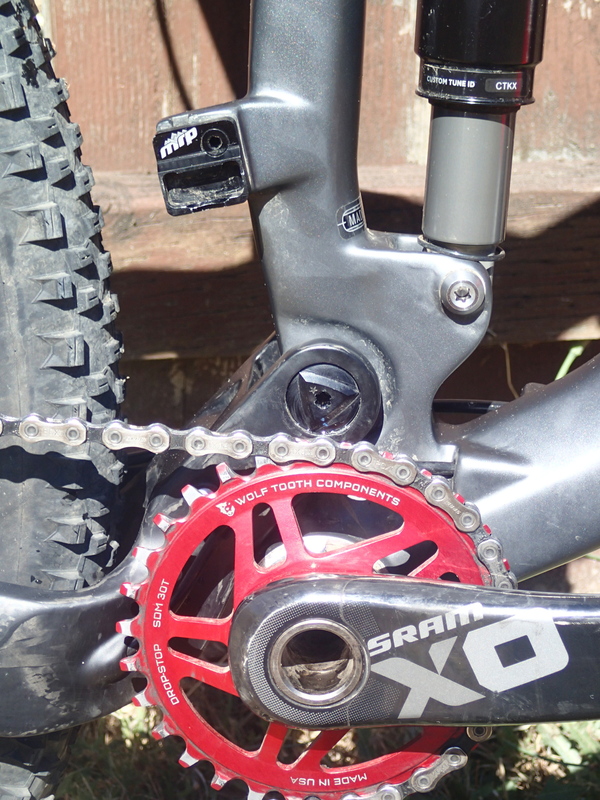 I’m a bit of a brake snob, though, and only run Shimano XT or XTR hydraulic brakes. 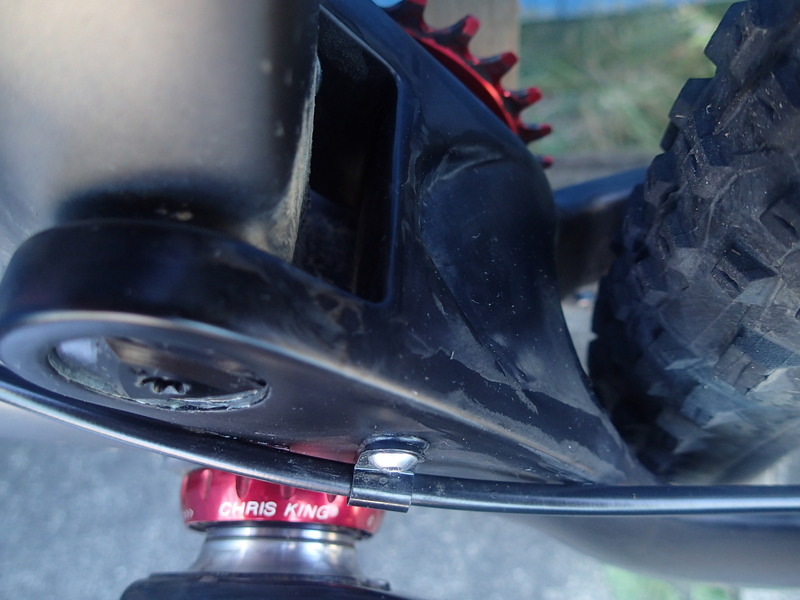 Also, to drop a little more weight, accessorize, and make sustained pedaling more enjoyable, I swapped the stock SRAM 32 tooth chainring for a Wolf Tooth Components direct mount 30T in, of course, red. And what’s that you see? Do you see it? I’m excited when others pick up on the nuance. But some don’t. 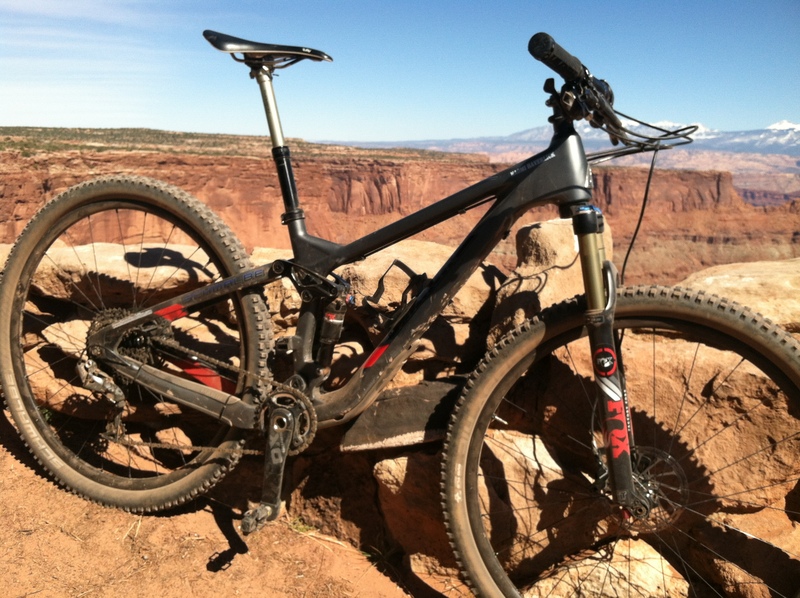 Check out this bike on the Marin Bikes website. 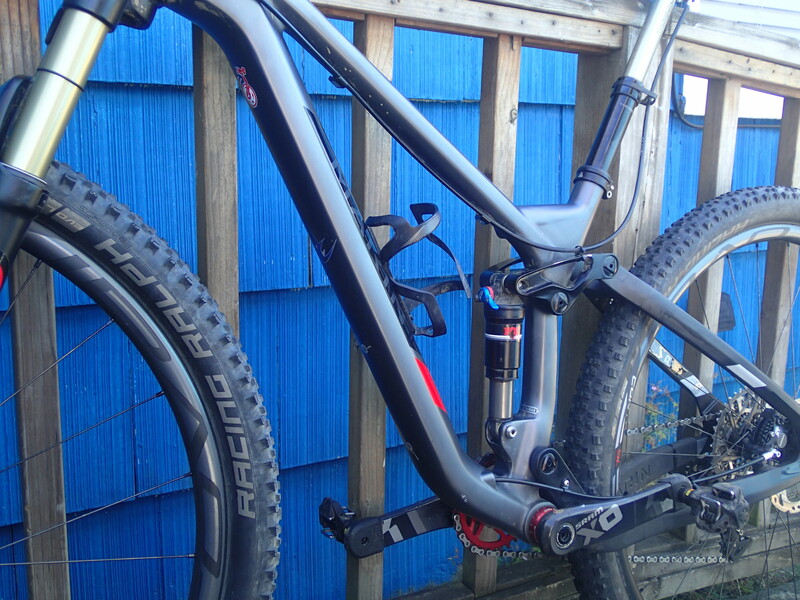 Also, check out my bike checks of the Marin Team CXR 29er Pro and Marin Cortina T3 CX.